...for families that LOVE music! 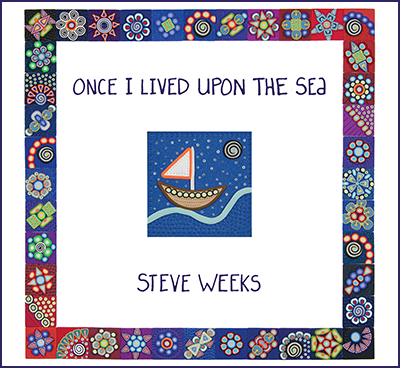 A Parents’ Choice Silver Honor Award winner, "Once I Lived Upon the Sea" album has all the catchy melodies, clever wordplay and sense of whimsy that are signatures of Weeks’ music, but it is definitely a new endeavor. The songs in this collection are soft, acoustic pieces that are more likely to have your child in their pajamas, snuggled in bed than jumping up and down on it. From the gentle bluegrass of “Yellow Jacket” to the water-themed instrumentals “Rain”, “Creek” and “Ocean” to the easy melody of “Dog Beach”, a song about one dog’s pure joy at being let off leash by the sea, Steve creates a peaceful backdrop of guitars, ukuleles and pianos that make the perfect soundtrack for bedtime or any time that you just need a little calming influence in your home.